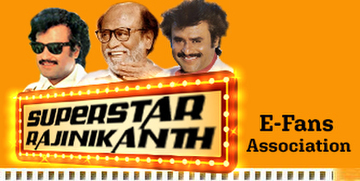 Q: Please tell something about Superstar Rajinikanth…..
Ans: Rajini is a sincere person. Good soul. Success, and more success has not gone into his head. He believes that all his fame was given by God and so he doesn't make any noises for that. He is a free spirit. I can see his freedom in his laugh. Once we were in story discussion for Badsha. Me, Rajini and director Suresh Krishna were in a room consisting two single seating sofa and one three-seater. Centrally there was a small and short table. 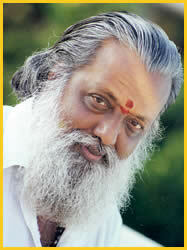 I was sitting in the three seater and Rajini and Suresh Krishna each were sitting in single seater straight opposite. I got up and folded my dhoti and started describing a scene to them. I drowned myself and involved in the scene and explaining deeply. Rajini was looking at me without distraction. At one stage, Rajini too stood up and was standing at the other corner. While time was passing, he accidentally happened to sit in my chair and I sat in his chair. Our discussion continued. Suresh Krishna was waiving his hand as if secretly he wanted to convey something. But I misunderstood that as if he wishes to suggest or correct something in the story discussion. I continued as I don't want to stop. He then, came towards me and bit my ears "You are sitting in his chair. Please get up." I was shocked and then only came to conscious. Immediately I tried moving from that chair. But Rajini, came towards me and pressed hard my shoulders and made me sit in that chair itself. "This is not a throne. An ordinary chair. A sofa. Anybody can sit in this. You continue," he ordered me. I asked apology and sat in three seater and continued. But Rajini didn't sit in that chair in rest of discussion and was standing. The chair was left unoccupied in a sense that I can sit in that when I wish do so with easy. Rajini did that to avoid embarrassment for me. He didn't mistake my sitting in his chair and also pressed hard me to continue sitting in that chair and also granted me permission without he himself sitting in that. What a humility, humbleness and broad mind. His natural modesty. The humanity not entangled with mere pleasantries and customs.